A well written resumeÂ is your ticket to the professional world..Saffron Consultancy Services gets your resume right by designing it and wording it properly to give it a Professional Touch. Thousands of job applications reach an Employer and many go unnoticed. Hence catching their attention is of utmost importance. Saffron Consultancy Services weaves its magic to create a Professional and Customized resume. 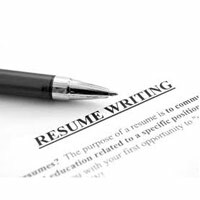 Resumes Building by Saffron Consultancy Services was formed as the result of an aspiration to establish a highly motivated, creative and intelligent resume writing team of content writers. A passionate team of experienced writers with diverse top level business exposure are the masterminds of this endeavor. With over two decades of association with the Publishing, e-publishing, Multimedia and Creative designing industry, our experience and expertise have fine-tuned us to be one of the best resume writing organizations. Our experience in top level managements enables us to understand in depth what an employer requires of a resume. Our forte is the subject awareness and the art of communicating a message to the reader in an un-complicated and convincing way. Our exposure to international clientele and work culture enables us to incorporate higher standards of work ethics which would reflect in our work output including the resume. Our design team is highly skilled to develop and customize creative designs that give our refined contents an attraction that would hold the attention of an employer sifting through scores of resumes. Candidates who have benefited from our resumes have been very effusive of our service standards. We offer our highly professional services to you and we count it a privilege to boost your professional career by making your resume stand out among the rest, thus enhancing your chances for an interview call and a job offer. Importantly our rates are the most competitive in the industry and the results are Optimal thereby leading to client satisfaction.